In Turkey we enjoyed staying at pansyons – youth hostels of a sort that are widely available as you travel from town to town. These inexpensive hotels attract all sorts of budget travelers and are known more for their common rooms and shared kitchens than for their comfortable beds. And I suppose it is this focus on creating interactions that always attracted us to stay at pansyons. We’ve met people from all over the world traveling around Turkey and it always fun to hear stories and to learn a bit more about other countries. Back in the U.S., travel has afforded us once again the pleasure and economy of camping. KOA’s seem to be our campground of choice as we get back into camping with our kids. On a recent road trip down to Arizona in February, it was too cold to camp and so we needed to most likely stay at a motel. But I didn’t want to stay at some generic motel where everyone retreats to their room to watch TV. I wanted the pansyon experience. And so I began googling for youth hostels. I didn’t even know if a youth hostel would take us because we have kids but I thought it was worth a try. 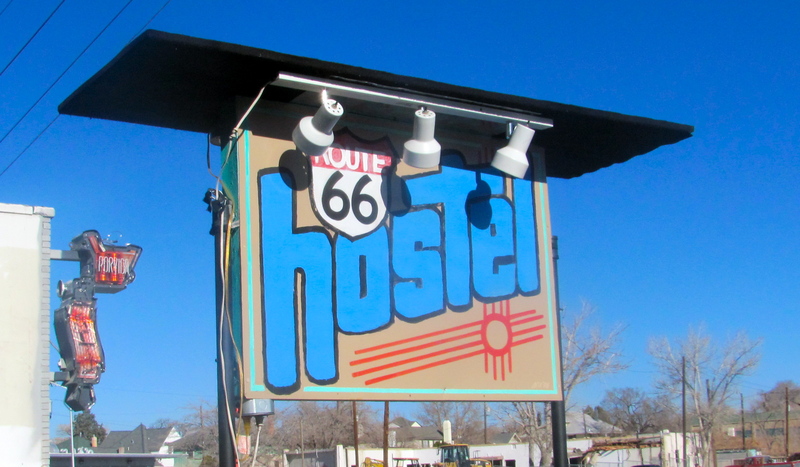 I found the Route 66 Hostel in Albuquerque and called to see if they had room for us. They had one family room and it was available. The price – $43.00 – was a lot cheaper than the many motels in the area and came without all the disturbing customer reviews. $60 for a hotel room seems likely to get you dirty sheets, a drug deal or two and front row seats to the fight that goes on in the neighboring room. 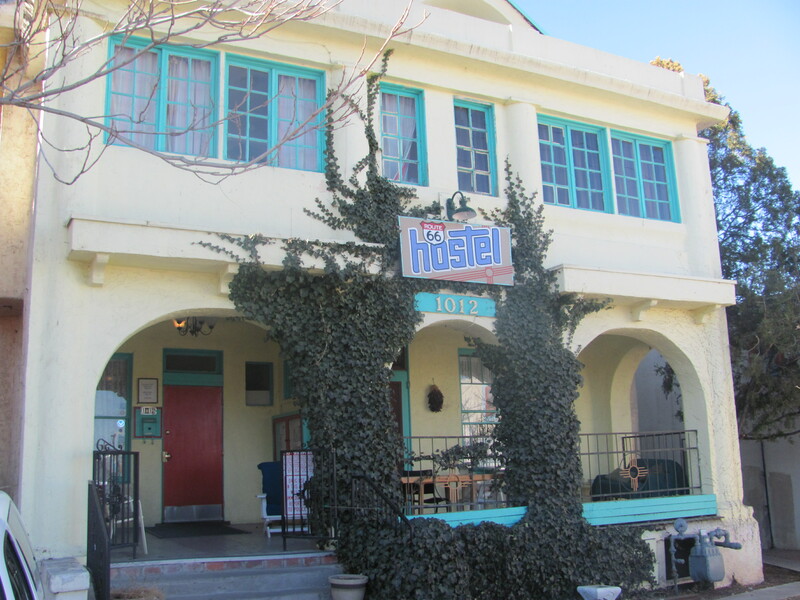 The Route 66 Hostel on the other hand was in an old two story home in the heart of historic old Albuquerque. The gentlemen at the front desk were both extremely helpful and friendly. The beds were comfortable, the room large, and the whole experience quite pleasant. Breakfast was included in the price though we had to make our own. We had toast and eggs enjoyed with coffee and orange juice. We did have to clean up our own dishes but that was done over conversation with a nice lady from Germany who was traveling around the southwest. For the price, Route 66 Hostel was an immensely better experience than the average motel ever could have been. If you are ever passing through Albuquerque, be sure and stop in for a stay. I am so disappointed I didn’t read this before we went to AZ. We stayed in Albuquerque on the way and totally would’ve stayed there! I enjoyed staying in youth hostels when we were in Europe and actually didn’t know they existed in the US.